You can't stop it… but you CAN protect everything you've worked so hard for. Attend the 4th Annual Irrational Economic Summit in Palm Beach, Florida and learn how 15+ financial luminaries plan to prosper from the coming depression. Sign up right now and you save $500 off registration. Details here. We've been on a debt spree since the early 1970s when we went off the gold standard, covering every possible angle. Trade deficits, government deficits, unfunded entitlements, private debt – you name it! Our total debt has grown 2.5-times GDP since 1971. It isn't. We're hurdling toward a massive financial crisis, and all we have to show for it are financial asset bubbles destined to burst. And when they do, they'll wipe out the artificial wealth they've created for many decades… in just a few years, as they did from late 1929 into late 1932! As with any drug – and debt is a financially enhancing drug – it takes more and more to create less and less of an effect. Eventually, you reach the "zero point" where there is no effect and the drug kills you from its very strain and toxicity. Just ask Japan. They've been doing this since 1997 with zero GDP growth and zero inflation, on average. Lately it seems like any time they get out of a recession they're thrown right back into one! When the economy is so indebted that consumers and companies can't take on any new debts, the money can't go there. So, it winds up going into financial speculation, especially as investment firms can lever up at little cost due to zero or negative interest rates. Stock prices bubble instead of inflation as the economy keeps sucking wind! Count on 2017 marking the beginning of the greatest crash we've seen since 1929-1932. And I have a new book coming out to commemorate this occasion. This new book, The Sale of a Lifetime, will hit shelves on September 15. I couldn't have picked a better time to release it. It's coming out at the height of the greatest bubble in modern history… and I wrote it to examine financial bubbles more than any book that came before it. In this book, I'll show why we shouldn't expect to see a bottom in stocks until at least late 2019 or possibly early 2020, when all four of my key cycles continue to point down together – a rare event. The markets are likely to be rocky into late 2022 when three of these four cycles finally turn back up together again. Around that time, the next global boom will arise from predictable demographic trends and continued urbanization in emerging countries. And surprisingly – China will not be one of them. We're simply running out of time. Be in cash or get trashed. If you're not sitting on the sidelines, make sure you're using an investment system like the ones we publish at Dent Research. Adam created his Cycle 9 Alert, for one, to be profitable in both bull and bear markets, and its track record speaks for itself. Adam has the details for you right here. On Friday I sent this update to my readers… and I thought I’d pass it along to you, too. Now I want to be clear about one thing: I only recommended selling half our position in this trade. When sectors or stocks enter this zone, I’m very confident we’re about to see a powerful, market-crushing opportunity. 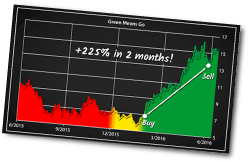 And that’s exactly what happened: a 110% profit in just four short weeks! I’ve also got two more trades in this sector that I expect to do extremely well over the coming weeks. To learn more about my system that sends a green light every time a triple-digit opportunity like this one arises, just go right here. Gold prices have dropped $20 since Friday… but the worst could be yet to come. With the Fed hinting that a rate hike could be coming in September, it appears the yellow metal could be in for a rough ride over the next month. And this could be the ONE warning shot you get before gold’s TRUE crash begins. In fact, you won’t believe how far Harry is predicting its price will fall! Not to mention the entire U.S. economy along with it. Gold is NOT the safe haven you believe it is… find out why and what to do about it, right here. Publisher's Note: Oops! There was a mistake in the email we sent yesterday. We've corrected the link and everything should be working just fine now. We are very sorry for any inconvenience. Have you ever sold a stock for a tiny profit because you were afraid it was going to turn into a loss... only to watch it skyrocket after you sold? Ever held onto a stock hoping for a turn-around only to watch it sink even lower and leave you with nothing? It turns out we really are our own worst enemy sometimes. And how to start trusting the ONLY thing that really matters when it comes to the markets. It’s also the only thing that reliably and consistently happens before every major market move. And by following it, my readers have seen gains of 116%, 124%, 140%, 191%, 201%, 316% and 336%... ALL in less than 90 days. Just go right here and I'll show you exactly what it is and how to follow it for yourself. The war of words between Hillary Clinton and Donald Trump has escalated sky-high this week, with each candidate accusing the other of bigotry. The war of words between Hillary Clinton and Donald Trump has escalated sky-high this week, with each candidate accusing the other of bigotry. 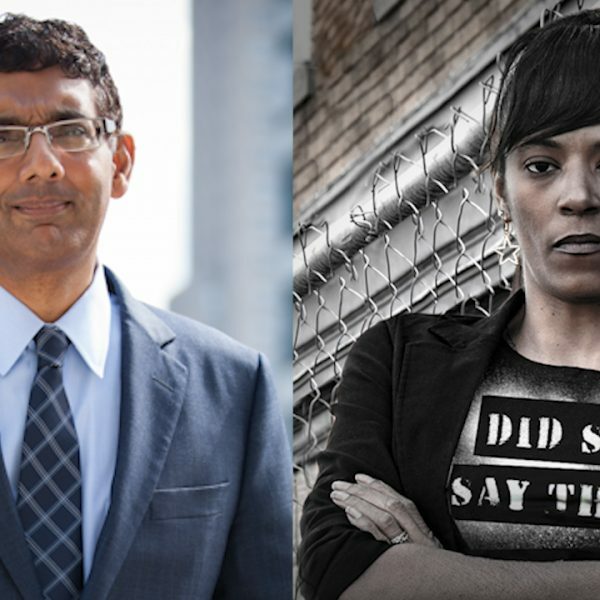 But which is REALLY the party of racism? A brief look at the history of the Democratic Party in America reveals their culpability for virtually every injustice committed against minorities: slavery, lynching, segregation, the KKK, forced sterilization, Indian removal, inner city ghettos, and more. So why is this even a question on the campaign trail? Hillary is going back to the age-old Democratic playbook and pointing to the Republicans as the party of bigotry. But this time, Hillary's America is here to tell the truth. 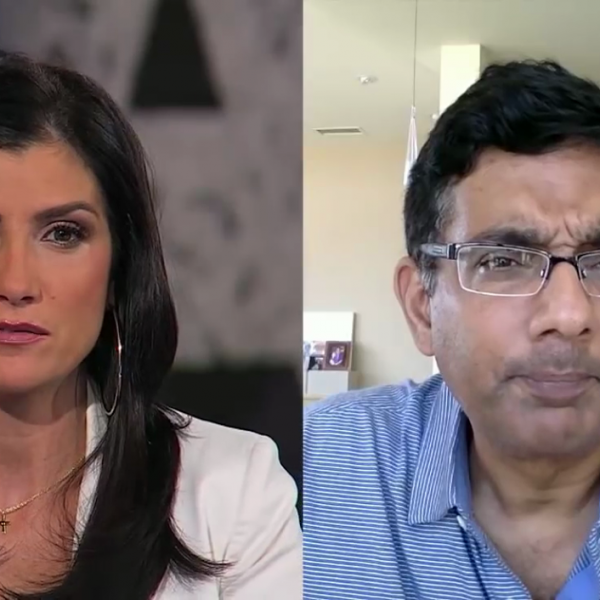 Below are just some of the ways that Dinesh D'Souza has been exposing the hypocrisy of the left in the last week. 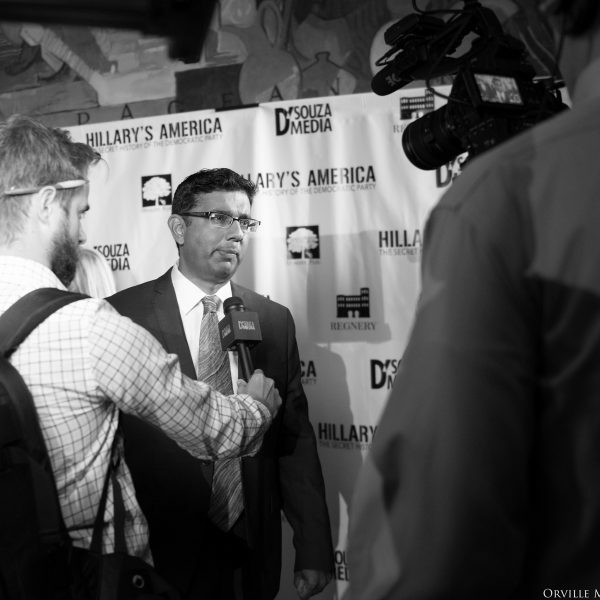 Hillary's America the movie will hit home box office and DVD store shelves before the election, but in the meantime, order a copy of Hillary's America the book—equip yourself to be a very dangerous American this November. The old rural plantations were run by Democrats, and the new urban plantations are run by Democrats. Bill doesn't need Hillary, but Hillary needs Bill. With his help, she always stays one step ahead of the posse, no matter how in-your-face the corruption becomes. 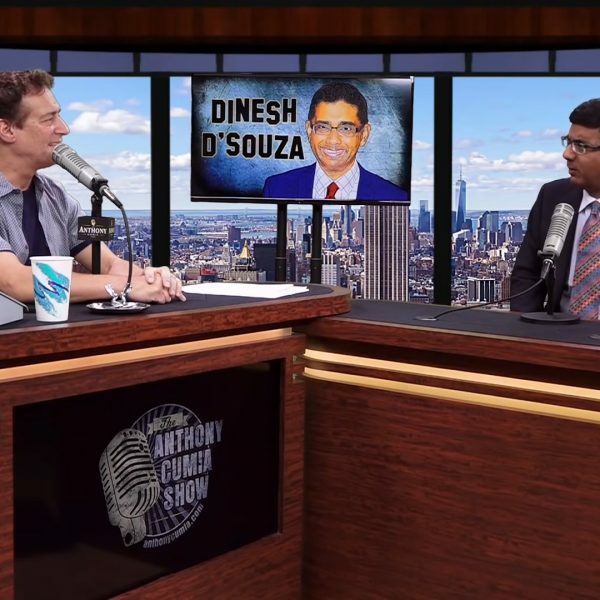 D'Souza film on the Democratic Party's 'racist history' will reopen in 500 theaters. The 13th, 14th, and 15th amendments abolished slavery, established citizenship for blacks, and gave blacks the right to vote. Which party fought to block these measures at all costs? Hillary Clinton is a fitting heir to the legacy of her party. 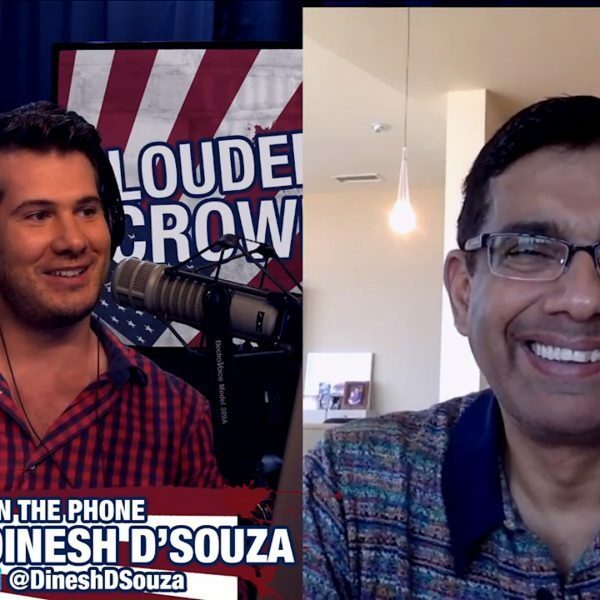 Dinesh D'Souza joined Steven Crowder to discuss Hillary Clinton, Dinesh's methods for writing his books, and the lack of intellectual debaters on the left. 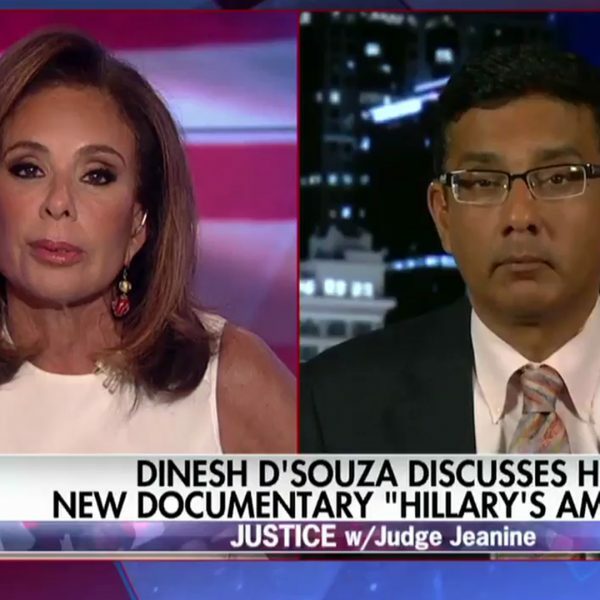 On "Mornings with Maria," Dinesh D'Souza explains how Hillary Clinton's so-called experience hasn't gotten anything for America. Email sent to us@peninsulateaparty.org on August 27, 2016.